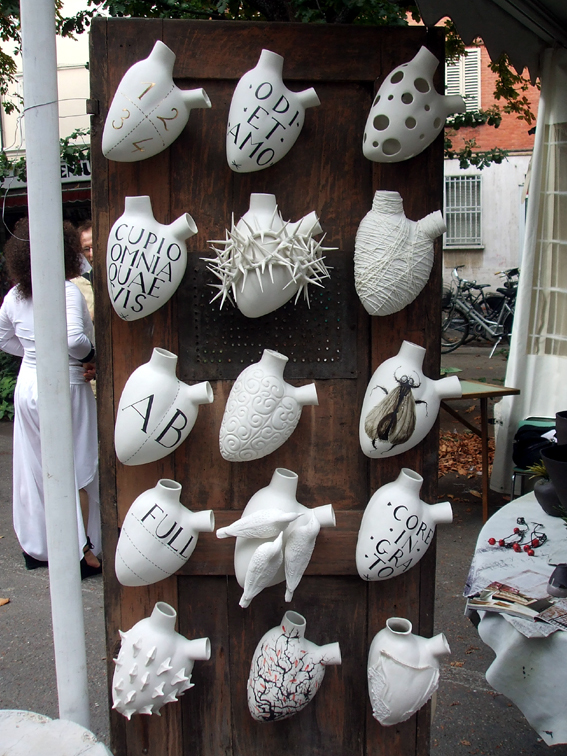 Argillà, the ceramics biennale in Faenza, ran from 31 August to 2 September this year. 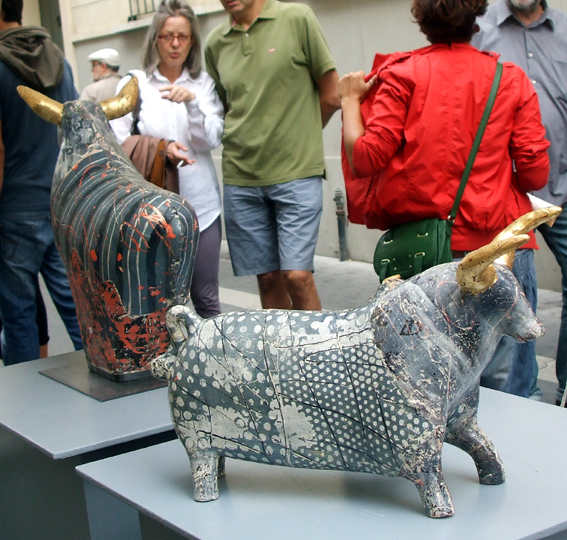 The Corso Mazzini, Viale Ballardini and the Piazza del Popolo were closed to traffic and set aside for the 170 potters exhibiting, and anyone visiting Faenza could see their work for nothing. The weather was perfect for an outdoor market. The heat wave of the previous weeks, when temperatures were in the upper thirties, had abated and there was warm sun. Plenty of bars, cafes and cafes had tables in the street and you could pause for a panini, a plate of pasta or an aperitif. Faenza is the ideal setting, with its long history of ceramic production, its ceramics university the Ballardini Institute, the International Museum of Ceramics with its big collection, and the Faenza Prize, which has departed from the city’s history of maiolica and now awards prizes for conceptual ceramics. Most exhibitors were Italian, but there were representatives from Slovenia, France, Austria, Greece, Germany, Spain, Hungary, Finland, Holland, the Czech Republic, Ecuador, Poland, Romania, Cameroon and Britain. There was only one potter from Britain, John Townsend, but I bought a couple of bowls from Terry Davies, an English potter who moved to Italy fourteen years ago. The organisers estimated that there were about 50,000 visitors. When I visited on the last day, the streets and squares were still buzzing. But exhibitors were feeling the effects of Italy’s dire economic situation. The budget cuts were being announced and the round of autumn demonstrations had begun. Sales at Argillà were down on previous years. The exhibitors were asking much less than I would expect to pay for work in Britain. These bowls by Erik du Chatenier (above left) at €7 were incredibly cheap. 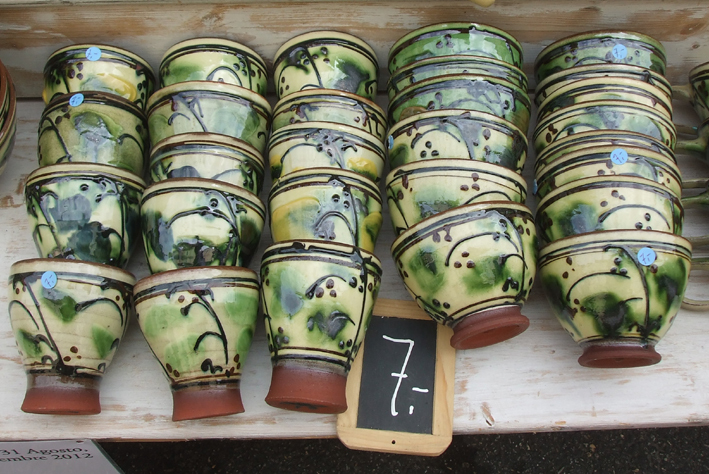 Perhaps British ceramists couldn’t afford to exhibit at Faenza for three days, and they’d have found it hard to cope with Italian haggling, which bid down even these low prices. There was a range of styles and methods, probably wider than you’d find at a comparable fair in Britain, where selection reflects the tastes of the organiser. 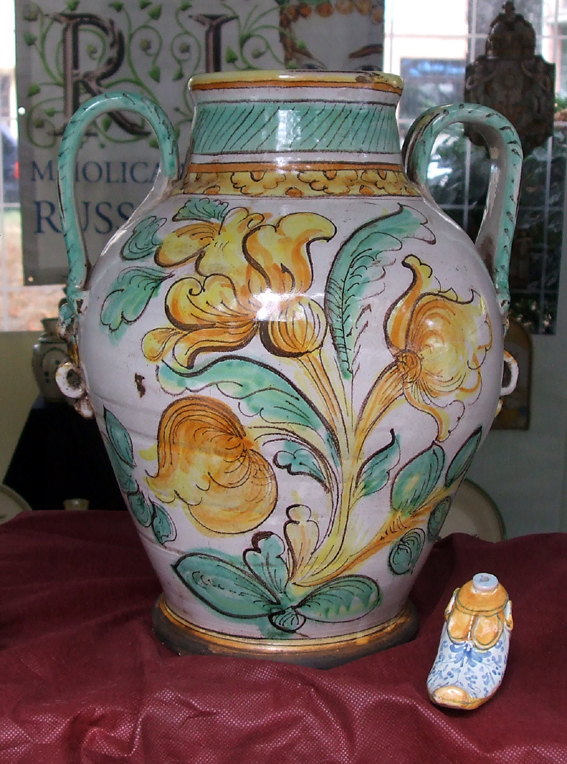 Because of Italy’s strong tradition of decorated pottery, Argillà had several exhibitors reproducing old maiolica. There was less distinction between studio and industrial ceramics than you might expect, which has something to do with the different meanings of “craft” in the two countries. It’s certainly not because of the absence of a ceramics industry: Italy is a big manufacturer of ceramic tiles and a major international exhibition, Tecnargilla, is being held in Rimini in a few weeks’ time. Argillà has a lot of industry support and a lot of public funding. It’s promoted by Faenza city council and the Italian Association of Ceramics Cities (AiCC). It’s also supported by the city councils of Ravenna, Naples, Vietri, Cerreto Sannira, San Lorenzo, Ariano Irpino, Lodi, Nove and Castelli, by the Emilia-Romagna regional authority and the Ravenna chamber of commerce. It has international support from the associations of ceramic cities in France, Spain and Romania and the city councils of Aubagne (France) and Gmunden (Austria). And it gets EU backing as part of the Slow Tourism programme. This amount official backing for a ceramics fair is bewildering to us in the UK, where most crafts fairs are run as private businesses without public support or collaboration. The nearest thing we have is the British Ceramics Biennial, but by comparison with Argillà it has few backers: Stoke on Trent and Staffordshire councils, The Arts Council, the Paul Hamlyn Foundation, Spode, Emma Bridgewater, Steelite and Johnsons Tiles. Despite the steep decline of industry in the area, there is no EU support. There is no support from councils or business outside Staffordshire, no Crafts Council involvement, no chamber of commerce backing and no international support. 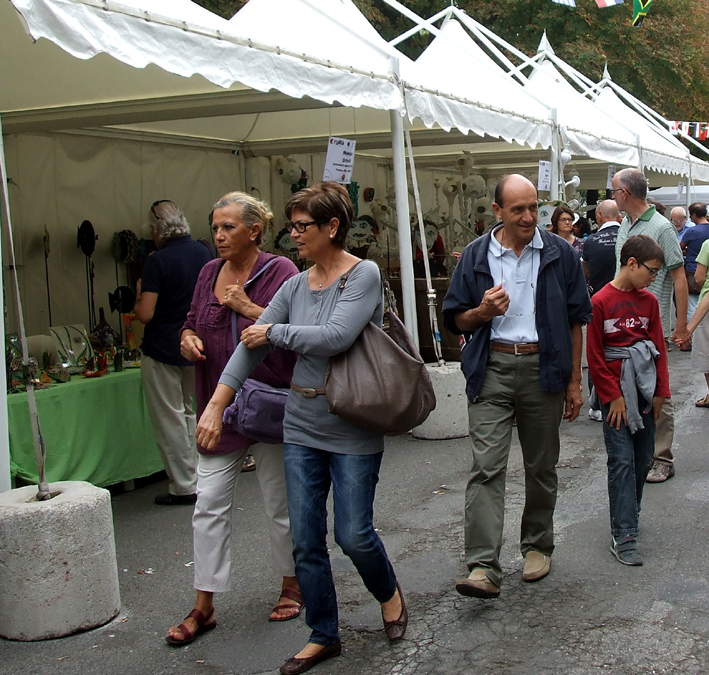 Why can’t a ceramics fair in Britain get the sort of backing that Argillà gets? There are many reasons. 1. There is more state and local authority support for industry in Italy than in Britain. In Britain, membership of a chamber of commerce is voluntary and membership is low, chambers are small and have a narrow remit and little power. On the continent membership is either compulsory or expected. Consequently they can have a major impact. 2. The UK gets less EU funding than Italy, and what funding we do get is more tightly controlled by central government. There’s less awareness of EU funding at the local level and even where it’s available, there’s often a reluctance to apply for it. I would be surprised if there was anything for ceramics here. 3. Organisers of crafts fair can recoup their costs in four ways: public funding, stall fees, commission on sales or charging the public. Our craft fairs in Britain, even those run by not-for-profit organisations, invariably charge the stallholder and the public. I don’t know the precise arrangements at Argillà, but as they got public funding, they didn’t have to charge the public. The British public, having paid between £5 and £15 to get into a show, have £5 to £15 less to spend on ceramics. 4. Italy has a stronger artisan tradition than Britain, where the crafts are viewed as insignificant. The Ravenna chamber of commerce includes the word “artigianato” in its title. No British chamber of commerce includes the word “crafts”. But “artigianato” means something more than “crafts”, perhaps something like “artisan”. The difference is illustrated by the producer of the “gelati artigianati” we ate who translated it as “handicraft ice cream”, which is not quite what it is. “Crafts” has backward-looking connotations that “artigianato” lacks. British craft pottery has an unfortunate history of hostility to industry which does not exist among “ceramiche artisiche”, art potters in Italy. 5. Ceramics production in Italy is associated with several districts. 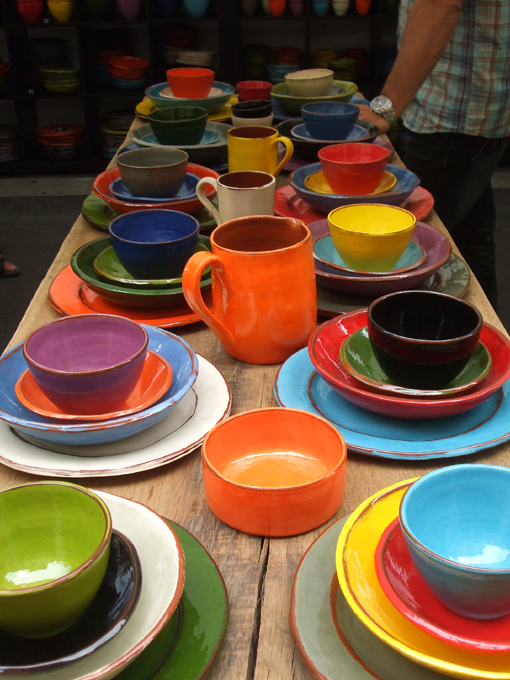 In Britain,the only “ceramics city” we have is Stoke on Trent. 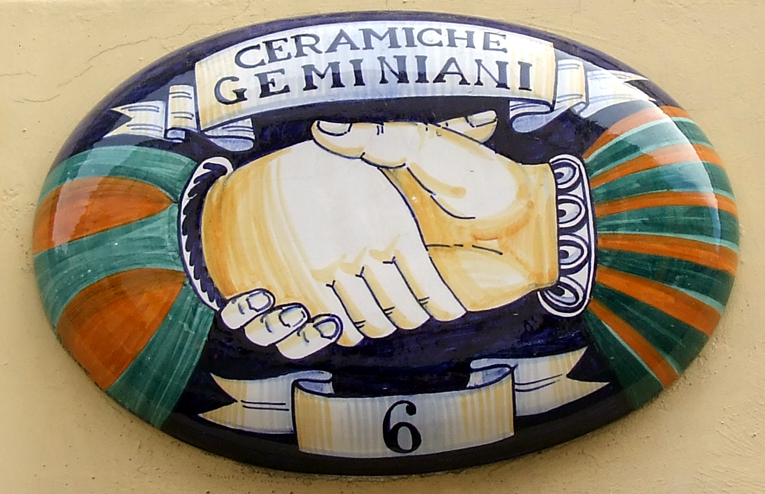 In Italy, there are 35 “ceramics cities”, who have an interest in promoting themselves through a national festival. 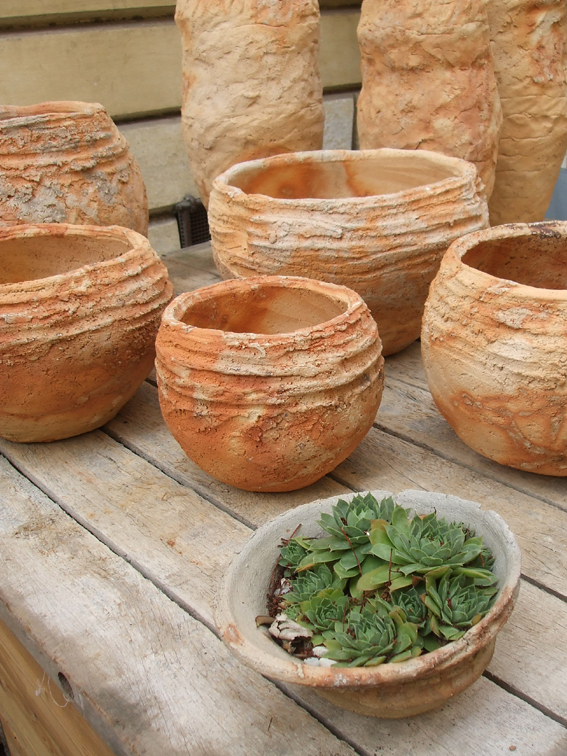 Craft pottery in Britain isn’t at present associated with a particular area, but might there not be a case for designating Devon as a “ceramics county”? Perhaps the Craft Potters Association and the Crafts Council might like to send a delegation to AiCC and see what we can learn from them. I said, “Our craft fairs in Britain, even those run by not-for-profit organisations, invariably charge the stallholder and the public.” Not invariably: how could I have overlooked Earth and Fire, run by Nottinghamshire County Council in Rufford Abbey Country Park? 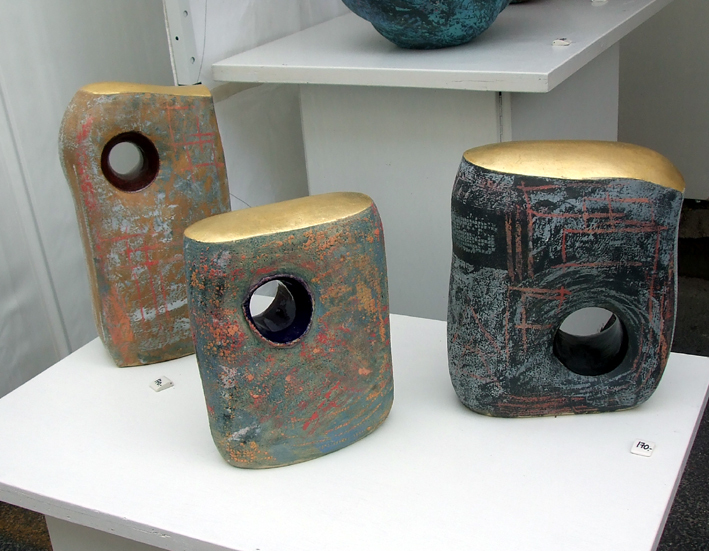 Earth and Fire, one of the major selling fairs in the calendar of British studio ceramics, is free to the public, who can combine it with a day out in the park. I met Eric du Chatenier in 2012 at Diessen/Ammersee. Incedible stuff! I bought two pieces but I regret not having additionally bought the more eccentric examples of his craft. hello my name is terry davies, the maker you bought from in Faenza. this year the event will take place, and England will be the guest nation. I will be together with the English potters in an area close to the museum . Thanks, Terry. I won't be coming to Faenza this year, but I hope the English contingent does well there.